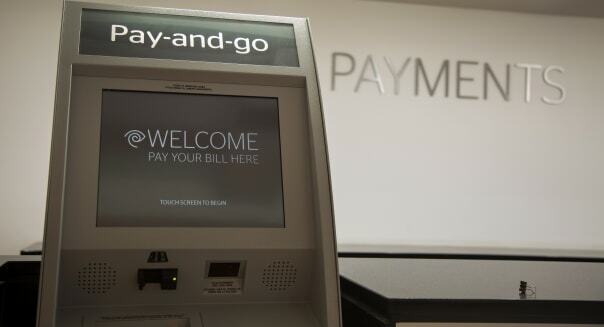 Michael Nagle/Bloomberg via Getty ImagesA bill payment machine at a Time Warner Cable store in New York. How many times have you started a new cellphone or cable service after being wooed by discounts and promotions? Unfortunately getting those discounts isn't always as easy as promised by the person signing you up. It's not uncommon for those discounts, freebies and pricing cuts to be left off your first bill. Here are a few tips to help you get the savings you were promised. Make sure you record what the rep agreed to when you signed up for the service. Waivers of installation and activation fees, free or discounted equipment and special pricing are all things that sometimes are promised but then aren't reflected in that first bill you receive. It's likely not intentional but when you're dealing with a big company that has lots of discount codes and departments those promotions may not get applied to your account properly or at all. So be sure to note the name of the person signing you up and the date and time they were helping you. Record the discounts and pricing you were promised. If you're doing it over the phone, take notes as you go. Take pictures of your notes and store them in Evernote or Google Drive. If you're online just copy and paste the details and email them to yourself. For example, when I signed up for Google Fiber earlier this month I didn't want to pay an early termination fee for my Comcast contract. I documented the name of the rep who assured me I could place my Google Fiber installation on hold until my Comcast contract expired. I emailed myself a copy of the chat for future reference. This sounds obvious but it's not as simple as it sounds. Unfortunately the majority of bills aren't simple to read on a normal month. When you add in line-items for buying equipment, changing plans and prorated service, the debits and offsetting credits it makes you feel like you need an accounting degree just to read your bill. This is why the first step of documenting your offer is important, so you can remember the discounts you were supposed to get when your bill shows up 3-4 weeks later. Comb through the line items and make sure the discounts you expected are included. The last time my cable promotion expired and I had to adjust my plan the first bill I received was about $200 higher than it should have been. I got on the phone and went through the line items until the customer service rep figured out what was wrong and credited my account. Don't get off the phone until they've addressed every charge in question. Unfortunately this can take a while. Often times the rep will put you on hold while they research or talk to their supervisor. If you hate being on the phone that long many providers now allow you to chat online with a customer service rep. It is frustrating that you have to waste so much of your time correcting the company's mistake. Being on a chat session takes away some of that frustration for me because I waste much less time. These type of conversations usually consist of you asking a question and then waiting a while for the rep to figure it out. When you're chatting online you can check email, pay bills or spend time on work projects while you're waiting for the customer service rep to figure out how the company messed up and how to fix it. Chatting online also takes away the frustration of phone menus and trying to decipher the accent of a service rep who's native language is different than yours. Once the customer service person corrects the billing mistakes they'll update your account and tell you it will be reflected on your next bill. Of course the problem now is that you want to pay what you owe to avoid a late fee but you definitely don't want to pay the extra $50 or $100 you were over billed. So be sure to find out from the company rep what's the minimum amount you can pay in the current bill cycle until your adjusted bill arrives. When your bill is bungled and you have to spend your time getting it fixed you probably get frustrated. Sometimes compensate for the inconvenience the phone rep might be authorized to give you something to appease you. Something that I ran across not too long ago was an upsell disguised as an appeasement. After finally getting my billing issue fixed the customer service man told me that he would upgrade me to a faster Internet speed at no charge. I thought it was a nice gesture so thanked him and accepted the upgrade. What he didn't mention was that the upgrade was only free for a few months and then I started getting billed for it. So if you're offered an upgrade as an apology, be sure to clarify whether that upgrade will eventually cost you something. It's always best to ask for a statement credit when you can get it. However, you'll have to follow up to make sure you actually get the credit that's promised. On several occasions the phone rep told me they were crediting my account, but it never actually showed up on my bill and I had to call back in to make sure they finally took care of it. Like I said, it's frustrating that you have to waste your time fixing the mistakes of your provider. But when you're dealing with a big company it's easy for your interests to fall through the cracks and you have to be your own advocate. Hopefully, these tips will help you get the deal that you were promised.